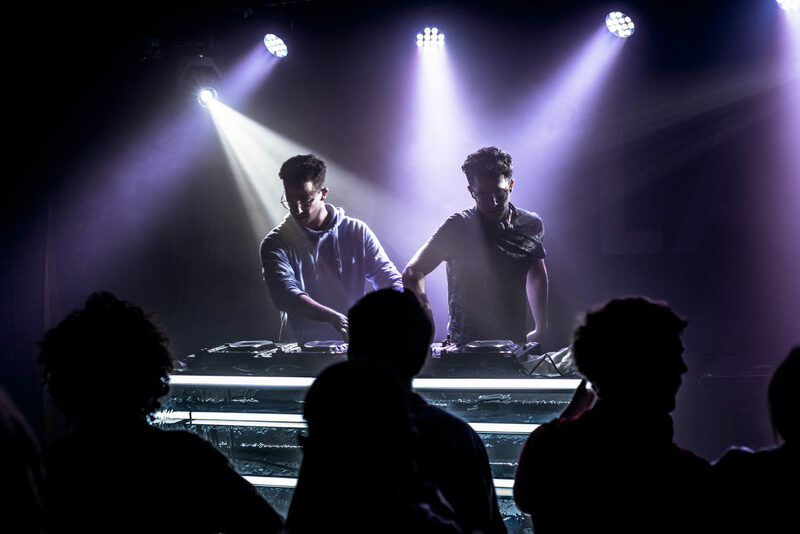 Brothers Charles and Zach Weinert share more than same DNA; the Monozygotic twins, better known as MZG, have shared the stage with some of the biggest names in electronic music across the country. 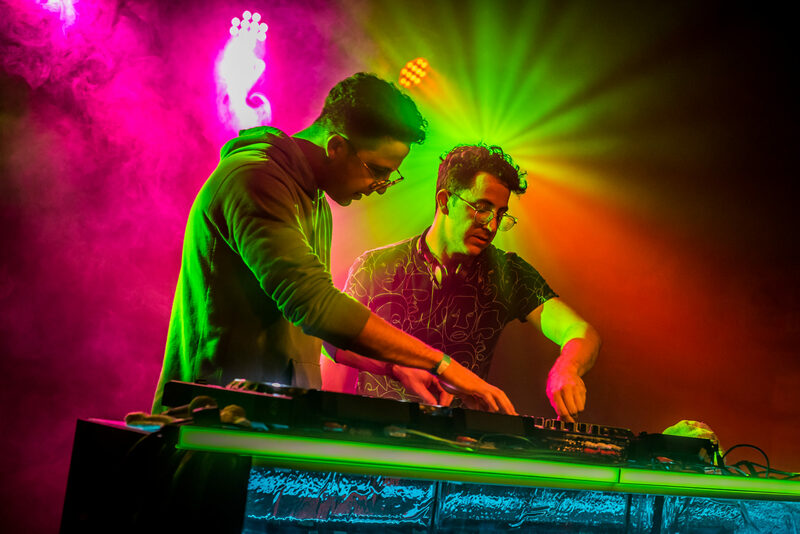 Since relocating to Colorado from the Jacksonville area, the duo has been using their sonic abilities to move bodies throughout Denver and beyond. MZG’s dubstep-house-hip-hop combination can feed the souls of fans spanning across the musical spectrum. With a rich background in music, the Weinert brothers are no stranger to the touring/performance life. Their former acts have given the two a sturdy base to build a powerful project with a unique sound that combines their individual flavors into a potent final product. Not only are the brothers naturally gifted in the art of production, their character off stage speaks for itself. With a humble, motivated mindset, the sky is the limit for these Monozygotic producers. Compose Yourself: Hey guys, thanks for talking with us today. Starting from the beginning, where are you guys from originally? Zach: We’re originally from Chicago, we were born there. Then we moved to Atlanta – I’d say from when we were four to twelve, then in Jacksonville from twelve to about last year. Then we moved here (Colorado) about a year ago. Charles: Yeah, so we moved around a few times but if were from anywhere, like the most time we spent, it would be Florida. Very cool, so did you play any instruments before diving into electronic music production? Charles: Yeah, we were in orchestra and stuff in elementary school. Zach: I played violin, I played a little French horn. Also spent some time in the oboe. But I really landed on violin before I picked up the guitar at scout camp – I really stuck with that afterwards. Charles: I played a little violin as well but kinda branched off into video when I was younger. I was making weird little short films. So I found my way into audio programming through film and that brought me to Ableton and music production through using software. So did you introduce Ableton to Zach? Charles: I would say so…sort of. Zach: We kind of found out about it at an intersecting point. My band got booked to play a music festival in 2009 and we brought Charles along. We all went to see shows outside of my own set and we saw a couple people using Ableton and we were both like “What is this?” So as soon as we got home, Charles researched it and bought it instantly. He started using it and I picked up on it and so on from there. Was this when you guys were still in high school? Zach: It was senior year of high school. We were probably seventeen or eighteen. It was September 9th, 2009. Nine nine nine – the festival I played was actually called Trinumeral. Zach: But it was a great time. That was just an important intersecting point. Pivotal change in our life. Zach, what style of music was your band playing at the time? Charles: Greenhouse Lounge had a steel pan player. Zach: *laughs* but yeah that band kind of progressed for about eight years; we played all around the southeast – Camp Bisco, we came out to Colorado for Sonic Bloom. It was like a electronic jam band hybrid sort-of three piece. Eventually, we had to get rid of some members and this and that. But that’s where it really took off musically before we formed MZG. So you were already used to the touring life before you formed MZG? Zach: So was Charles, he was a solo DJ. Charles: Yeah I used to perform under the moniker Sir Charles for awhile in the southeast. My first breakout show was opening up for Bassnectar – like in 2010. It was at the Free Bird – this local venue in Jacksonville that’s not established anymore. It was freshman year college – my friend just calls me and says “Do you want to open up for Bassnectar?” and I’m like “Yeah of course bro!” *laughs* After that I fell in love, infatuated whatever you wanna call it and just went for it. It was hectic trying to keep a college career going at the same time. Zach: Same for me – but we never dropped out though! I’d say one of the busiest times of our life. At this point, we gained so much priceless experience, going through tribulations of touring. You know noone is gonna teach you how to do that. You gotta just go out and do it yourself. When did you guys form MZG? What was the first MZG gig you guys played? Zach: I’d say 2013 at Myrtle Beach. We played with a guitarist/producer that toured with Shwayze, Cisco Adler. He actually helped us rebrand our name that night. Charles: We were going by Monozygotic at the time, which is what MZG stands for, and Cisco approached us in the green room and was like “I really enjoyed your set, I think this idea really has some legs, but you guys have to change the name.” And he kinda explained to us the concept of human consumption when it comes to names. He seriously did a social experiment in the green room, pulling people up and introducing us as Monozygotic vs MZG. Zach: It was really crazy, when he introduced us as Monozygotic, it took the dude a second to process it, and you could tell he was a little lost. When he introduced us to someone else as MZG, the kid instantly found his tune and was already bought in and planted. Cisco is a great and talented dude and we’re super appreciative for playing with us and his help that night. What would you say your top three most fun shows that you’ve played throughout your career has been? Zach: I think that was our 22nd time playing at that park. Charles: We’ve been putting our work in at those campgrounds over the years, and I feel like it was a really nice gathering at 3pm. Zach: They always crush it at the Spirit Lake; it was just poppin. Just looking out into a sea of people. It’s just crazy seeing a spot that you’ve seen totally empty fill up with like 2,000 people. Charles: So that would have to be our favorite set..then I’d say, for some reason, we had a really fun set at this festival in Miami. It was really odd. Fractal Beach. It kind of came out of nowhere. But we were playing behind this enormous octopus. Zach: The beach and ocean were behind us. It was at like 2am – it felt like we were playing in the water. Charles: The place was really just a rowdy good time. I think that was the one that we didn’t really expect to take off like it did. Then I think collectively, the back-to-back sets or any of the campground sets that we’ve played at any festival have been epic. Zach: The one with Space Jesus at Hulaween was absolutely ridiculous. Charles: We played another one that the same day at my buddy Christie’s campground with Griz. A couple years before that we did one with Louis the Child and Louis Futon that was pretty dope too. Zach: Another poppin set was Okeechobee. The Sunday set we played – how can we forget that one? We played Sunday evening at five on this Temple Stage. Charles: It looked like a wook merry-go-round. The vibe was epic. Zach: It was a 360 stage; it was literally a circumference of awesomeness. We also had our homie Keegan Tawa, he’s from Philly, rip a sax solo with us at one point; the dude is so good at listening and playing to what he hears. It was epic – can’t leave that one off the list. So when can we expect more Mmm..ZG videos? Charles: Yeah, actually in February – we’re gonna do a Valentine’s Day one. Zach: All the sauces will have mixes as well. How are you feeling heading into this Herobust show on Friday? 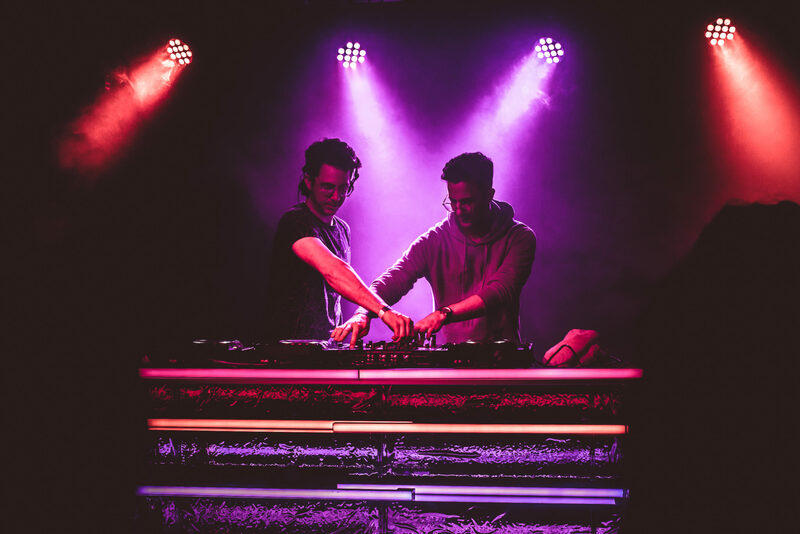 Zach: It’s kinda funny man, Hayden (Herobust) is probably the one that got us started with really being more intuitive and objective with our music production. It’s one hundred percent Hayden. We spent a lot of close time with him in our formative years around 2009-2010. He’s from Atlanta, and my band played a couple shows with him; when I listened to his music I was like “What the f***” before it was even a thing. He really got us digging deeper into sound design and mixing. He was really more of a mentor – he never completely taught us anything, but would always point us in the right direction. I feel so grateful that he was doing that, and didn’t show us exactly how to do things right away. He tested us with challenges to make sure we really knew what was going on. So I would say he’s a hundred percent an inspiration and a motivating force to keep us making music. So if you were a Pokemon trainer and were only allowed to have three Pokemon on your team, which three are you squading up with? Charles: Alakazam, Gyarados, and Mr. Mime. Charles: It’s cool being in such supportive area; a lot of people that want to go be entertained. And a lot of folks that want to see you win. And that’s just refreshing.